Miss Universe 2012: SHOCK! HORROR! The "impossible" happens! 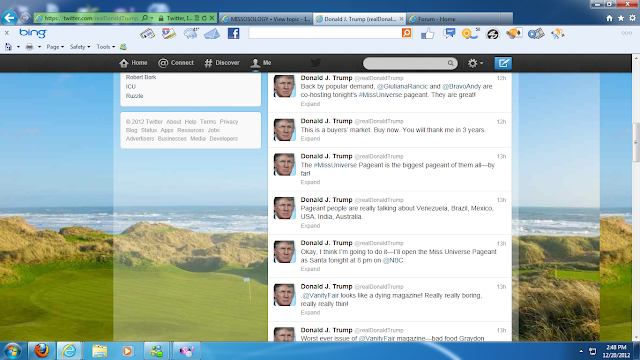 For a few months after the middle of 2012, I started to think that there might not be a Miss Universe Pageant in 2012. The organization had desperately struggled to find a host for the pageant for the greatest part of 2012. 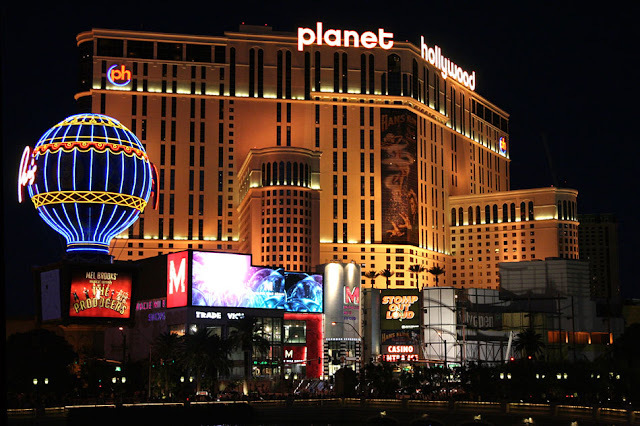 There were rumors, rumors, and more rumors with Guadalajara, Mexico and Sun City, South Africa seeming to be the hottest "favorites" but neither of these two potential venues committed to hosting the event. Paying US$20 million or more to host is just impossible in this day and age, especially if the hosts have to bend backwards to meet the needs of the American network that broadcasts a show that is tailored for the American market. SAVING THE DAY: The Miss Universe Organization can alway rely on Las Vegas to step in when all else fails. After failing to secure Guadalajara and Sun City, the Miss Universe Organization set their sights on the Dominican Republic and made a proposal to their government. Eventually the government of this country rejected the proposal due to the current economic climate. Miss Universe was pushed back to December with more rumors that the show might even be postponed to 2013 or that a winner will be crowned in December and the next one before the middle of 2013. Finally, the rumors were stopped to the relief of the legions of Miss Universe fans in September 2012 with the news that the Miss Universe Organization's reliable back-up plan would once again happen, the pageant was scheduled to take place at the Planet Hollywood Resort and Casino in Las Vegas, Nevada on December 19, only days before the end of the year. reigned for 1 year, 3 months and 8 days, a record. The December 19th final was the latest in a calender year the Miss Universe Pageant was ever held and that also meant that Leila Lopes from Angola (the 60th Miss Universe) became the longest reigning title holder in the history of the pageant. The Miss Universe Organization decided to embrace the holiday season in which the pageant would take place and they announced their plans to have a holiday themed Miss Universe Pageant which would include how Christmas is celebrated around the world. 89 young ladies, equalling 2011's record number of participants, would compete for the 2012 Miss Universe title with Gabon and Lithuania competing for the first time. Fans around the world could not wait for their favorite pageant. Waiting for almost 1 year and 3 months before the start of the most anticipated pageant of each year was almost too much for fans around the world to handle. Miss Universe remains by far the most popular pageant with the most pageant fans who digest the organization and its title holders every move and for them, Miss Universe will always be no. 1, no matter what happens. The wait actually seemed quite worth it though because 2012 had one of the strongest groups of delegates in recent years. It was poised to be the battle of the super beauties, with the Philippines, Croatia, Venezuela, South Africa, Kosovo, Puerto Rico and Ecuador being the hottest favorites for the crown. After all the home victories in 2012, most of us felt robbed and most of us felt that Miss Universe would definitely not follow this trend. It was just unthinkable. The Miss Universe fans' script was already written: a super beauty would win and the Miss Universe Pageant would once again be used as a prime example of the fairest pageant with the best results when bashing the other two majors and their owners. Even though Olivia Culpo, Miss USA, was agreed by almost everyone to be a stunning beauty with an amazing personality who could just light up a stage, most people felt that her look was definitely that of the all American (stunning) girl next door, a typical Miss USA but not exactly the look of a Miss Universe. So the consensus was that in a competitive year like 2012, she would probably reach the top 10 and with a bit of luck top 5 and most likely the fourth runner-up position. This belief was solidified when Culpo showed up in Vegas looking great as always, but a little tired and perhaps even a bit withdrawn at times. 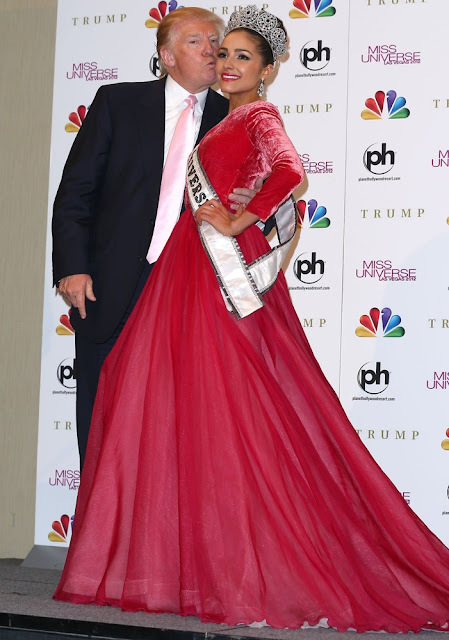 After the preliminaries most fans agreed that her quest for the crown would end in the top 10 round due to her very interesting choice of gown, a full red ball gown which did not do much to make her look taller than her 1.66m which is quite short in the pageant world. Even though 2012 had a great bunch of delegates, a super favorite emerged with pageant portals and most fans around the world. One delegate did not really put a foot wrong in Las Vegas. Miss South Africa, Melinda Bam, spent the greatest part of 2012 living and breathing Miss Universe. She worked exceptionally hard to try and win her country's first Miss Universe crown since 1978. Bam's hard work paid off when she became the darling of websites and fans around the world. Every favorite also has her detractors. Some people did feel that Bam (at 1.7m) was too short to be Miss Universe and others felt that her look was a tad too mature. There were also some fans who disliked her nose. For the majority of Miss Universe fans, however, she was the one. The girl with the right balance of glamor, beauty, intelligence, personality, and charisma. Most of us felt the crown was hers to lose. After the preliminaries, as always, some favorites faded and new favorites emerged. Bam held her own and cemented her status as favorites with two sizzling preliminary performances. Other favorites who held their own was Venezuela (although some commented on her over the top stage antics), Philippines (who saved the best for last), Mexico, Australia, Puerto Rico, Paraguay and Malaysia. Some of the previous favorites who somewhat disappointed during the preliminaries were Ecuador, Croatia, and Kosovo. El Salvador, Brazil, and Sri Lanka were definitely counted as some of the biggest surprises of the night. When the big day arrived, all eyes in the pageant world were eagerly fixed on Las Vegas to witness the battle of the super beauties and the crowning of the one who we would be talking about for the next 12 (or 6 or 8 or 10) months. The stage was an explosion of Christmas with some fans loving it and of course others branding it as tacky. Pageant fans are very hard to please and for every positive comment, there will always be 5 negative ones. The thing with Miss Universe telecasts is that you always kind of know what to expect as they always follow the same format. Same thing with a different set of presenters and a different "cast". Even though the telecast was perfectly fine, a good production as always, it seemed like a more toned down affair and there were a few major glitches which we don't usually associate with a Miss Universe telecast, most notably the introductions of the first 10 or so delegates who were not heard introducing themselves. In general, the rest went pretty smoothly with the exception of one or two incidents. EXPLOSION OF CHRISTMAS: The 2012 Miss Universe stage celebrated the festitive season. 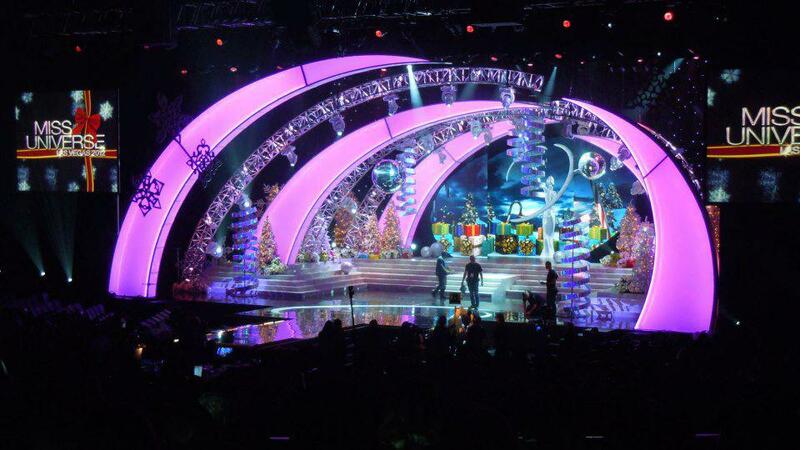 Looking back at Miss Universe 2012, it is not the Christmas themed show, or the seemingly low budget production, or the hosts, or judges or nailbiting competition that will be remembered. 2012 will definitely be remembered for it's bizarre results from start to finish. Fans were in shock when the delegates from India, Turkey, Russia, and Peru came out of nowhere (well, we were all pretty surprised) to reach the top 16 ahead of favorites such as Puerto Rico, Paraguay, and Malaysia. Others in the top 16 who were deemed surprises (though not huge surprises) were France, Hungary, and Poland. Now, just like I said in my Miss World review, we can always come up with business reasons for some of the placements. Many people felt that India's placement was because the organization is looking for a new franchise holder in the country and Turkey because there is an interest in hosting the Miss Universe Pageant in the future. However, these are just rumors and they don't mean anything because there are no "rumors" to justify the placements of other delegates like Poland, Hungary and France (who was just a runner-up in her country's pageant)... so there will always be speculation among pageant fans but we the organization never releases the details about who made it in the preliminaries and who were their picks. So all these rumors and "pageant conspiracy theories" will remain just that. It was strange though that the winner of the fan vote was not named this year. After the swimsuit round, the first 6 delegates were eliminated. The elimination of Peru, India, Kosovo, Poland, and Turkey were not really that surprising. Croatia's elimination was somewhat surprising although most fans would agree that her performance was quite lacklustre on the night and her hair style pretty much killed her chances. There were rumors that she did it deliberately as she did not want to win Miss Universe (but once again, just RUMORS which the pageant world seem to thrive on). Russia's inclusion in the top 10 was a bit of a surprise while a lot of people welcomed the inclusion of Hungary. paraded in their Kooey Swimwear. Then it was time for the top 10 evening gown round. Australia, Brazil, Venezuela, Philippines, and South Africa all looked absolutely sensational and did not put a foot wrong. USA surprised by sticking with the red ball gown that was so heavily criticized (some describing her looking like a Christmas ornament) and when she tripped on her gown, the consensus was that she would be eliminated. Russia and Mexico were both criticized for their tacky gowns which were more could easily be used as swimsuits too. that was half swimsuit, half dress. Next it was time for the announcement of the top 5. As there were some pretty shocking surprises throughout the night, I started to get a bad feeling about the results and expected a shocker or two... and I my expectations were definitely met. The first 3 called into the top 5 were quite expected, Venezuela, Philippines, and Australia. Then number four, the USA. It was quite a shock and you could almost see the disappointment on Miss South Africa's face. It's like she knew when USA was announced that she would be eliminated. And yes, despite being a major favorite and not doing anything "wrong", just like that, she was out of the competition when Brazil was announced as the last (and also somewhat surprising) top 5 finalist. During the top 5 Q and A, Philippines and Australia did not disappoint. They were the two who were fighting for the crown. Brazil's answer was OK but really nothing spectacular or memorable. USA's answer was quite a disappointment. It was not terrible but compared to her answer at Miss USA, not nearly as eloquent. She still had the same self-assurance but it was like she did not really try that hard. It's hard to describe but the vibrance and charisma that oozed out of her pores at Miss USA had somehow disappeared. Venezuela's answer was so bizarre that no one could really make sense of it. After the pageant, some photos emerged which almost convinced me that they sprayed too much hairspray in her face and she got confused. HIGH ON HAIRSPRAY?! : Venezuela gave a very confusing and bizarre answer to her top 5 question. After one of the highlights of the pageant, the top 5 final look which was just really fun and had the cool and modern feel to it that we want, the longest reigning Miss Universe had to come and crown her successor. I was not surprised to see Brazil being named fourth runner-up but I did scratch my head when Australia was named third runner-up because I was convinced that she would be in the top 2. I knew right away Venezuela would be third (somewhat surprising with THAT answer) and my first reaction was: "wow, the host card is definitely being pulled out for USA again... runner-up to Miss Philippines is much better than all of us thought." Venezuela was indeed named the third runner-up and I immediately started imagining the joy, excitement, and funny youtube moments that would come from the Philippines when my Miss Universe crazy friend from the Philippines would finally (and very well-deserved) get their third Miss Universe. When Guiliana Rancic yelled USA, it was almost like someone punched me in the face. I just really never saw it coming. I was in shock for a few second while watching a very exicited Leila Lopes crowning her roommate Miss Universe with an even more excited Miss Teen USA looking on. Then after that, all I could feel was complete and utter disappointment. Immediately I just thought: 2012 was a horrible year in the world of pageants. The fact that China won in China, Japan in Japan, and the USA in the USA was almost surreal and the fact that most fans felt not one of these victories were convincing made it very hard to accept. UNBELIEVABLE: Olivia Culpo's Miss Universe victory meant the 3 most well-known international pageants crowned the host delegate as their winner in 2012. Pageant fans are still struggling to make sense of this strange turn of events. So, Olivia Culpo is the new Miss Universe. The 15 years that the USA had to wait since their last victory (which equalled the previous longest drought 1980 - 1995) in 1997 was over and with our new Miss Universe, we also got a new Miss USA. As Culpo was now Miss Universe, the Miss USA title went to her runner-up, Nana Meriwether from Maryland. The fact is I really like Olivia Culpo and I know that most of her fellow competitors did too. Almost all the comments from her competitors were similar. She's a natural and charming girl and she deserved it. I think she is a stunning girl and really natural and charismatic. I could listen to her speak for hours because she is super bubbly and charming. The problem is just that it just seemed like a strange victory. It was almost like it was just handed to her when she was not even really trying that hard. Like the crown was already hers no matter if she tripped or kind of did not really give a convincing answer to her question. It almost feels like the judges and/or organization felt that they had to do the same as what happened in China and Japan or maybe it was just time to try and evoke patriotism and national pride and popularity in the USA again... or get ratings, I don't know. I felt a bit sad for previous Miss USA winners who I felt had Miss Universe written all over them like Alyssa Campanella (yes, she was too thin), Crystal Stewart and Rachel Smith (ok, they fell), Shandi Finnessey, Ali Landry, Kenya Moore, and even as far back as Deborah Shelton. It seems like the most glamorous Miss USA's always somehow miss out for some reason. Finally, as is the case with Wenxia Yu, it was just that the one who triumphed is undoubtedly gorgeous but was not at her very best on the night of the final which made their victories somewhat disappointing. I have no doubt that Olivia Culpo will be a wonderful representative for the Miss Universe Organization and that she has a very bright future ahead of her in the entertainment industry. She is not only beautiful but also very likeable and I am sure she will win hearts throughout her reign as Miss Universe. I wish her all the very best. south africa was YOUR favourite no everyone else's. I would argue on the fact that she is SHORT but then it won't make any sense, olivia culpo is 1m65. South Africa was not appreciated by anyone during the competition. She was conceited and a show off. She has been annoying during the 20 days and no one could even stand her during the last week. from a girl who made it to the top5. p.s : South Africa wasnt even worth the top16 to start with, so racist as well. I also wasn't a fan of Miss South Africa. It was surprising to me that the day before prelims, Olivia & Melinda tied at the top of UK oddsmakers' boards but then Olivia's odds got longer while Melinda's got shorter. I saw no difference between the 2 other than hair color. Of course, I will savor this win by Rhode Island's 1st Miss USA AND 1st Miss Universe until the day I die. Thank You, Olivia Culpo.